In a relationship with your partner or boyfriend will certainly not always smooth without conflict. There will always be problems that arise in every inch of your life story with him. In solving the issues with your boyfriend, it should certainly be careful and not to be careless. If such problems arise, what's on your mind? Do you want to end the relationship? Come on, do not be too careless in taking decisions. All regrets will always come at the end. If you want to establish a more serious relationship, indeed the ego must be ruled out. We must not act as they pleased, but also must think about our boyfriends. Ending a relationship just because there is a problem with him will not solve the problem, and certainly it is the worst possible way. Breaking up is not a wise way to overcome the problem with your boyfriend. But it is a new issue because one day you'll be sorry if you really love him. 1. Try to far away from him for a moment. Why should avoid our boyfriends? Remember that when you're in trouble, then you and he was in high emotion. Avoid him temporarily to give time so that you and he can calm the mind beforehand and be aware of each other's mistakes. Intent to avoid here is to calm the emotions that were burning. In the span of this silence, think about your mistakes and also why this conflict could occur. So that the future, you can be avoided. 2. Discuss the issue amicably. Call him immediately and talk about this matter amicably. He would respond well; it is unlikely he ignores his girlfriend. Especially after the inevitable, of course, he will feel guilty. If problems do arise because of your prejudice against him, he or you're lying, promises were canceled or delayed fulfilled. Discuss softly to him why it happened. Try to remain calm if he still provokes emotions. Show him that you love him and will not repeat the same mistakes (also instill in your heart that you really will not repeat it). If your problem with a boyfriend because the stories of others and the story was not true, say nicely to him that the story was not true. If the story is true, explain your reasons why you do it. Of course, with evident and logical reasons. He would also realize his mistake, so it made you like this. Up here, your problem with him has started to subside and resolved. If he is a person who likes to learn from experience, he will love you and will not repeat the same thing. 3. Be consistent in your destination with him. Your relationship with your boyfriend should not have been able shaken by trivial matters. Let your relationship flowing like river water that will culminate in the estuary, and flow according to your wishes. Belief in your boyfriend is the best way. Mutual trust can strengthen affection between you two. And will be more robust and resistant to the gossip that will damage your relationship. (Read also: 50 Romantic things to do with your boyfriend). 4. Tell him that you will not indulge selfishness again. Promise to keep listening to the words of your boyfriend and vice versa when you're in trouble. Since most of the problem because each put in his words without wanting to understand one another. Please also take the time to listen and understand what your boyfriend said. Tell him that when in a problem we are equally selfish, of course, you will avoid him again for a while. Say it with a smile cute to him. 5. Keep the commitment that you have agreed. Try as best as possible to not violate the commitments which you have made. If you are still in a period of know each other, ask him to propose you as soon as possible. No need too much time to know each other, a month is enough. Make him as a lover lawful in God approves bond as soon as possible. After that, the problem between you and him will be smaller. You can be free if travel is both everywhere and that others will not prejudice, most just jealous. Thus, how to cope and solve issues in relationships with your boyfriend. May be useful. See you at the next interesting article. 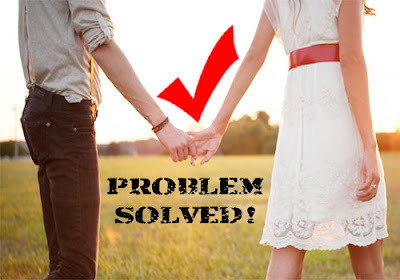 0 Response to "5 Tips to solve issues in relationships with your boyfriend"